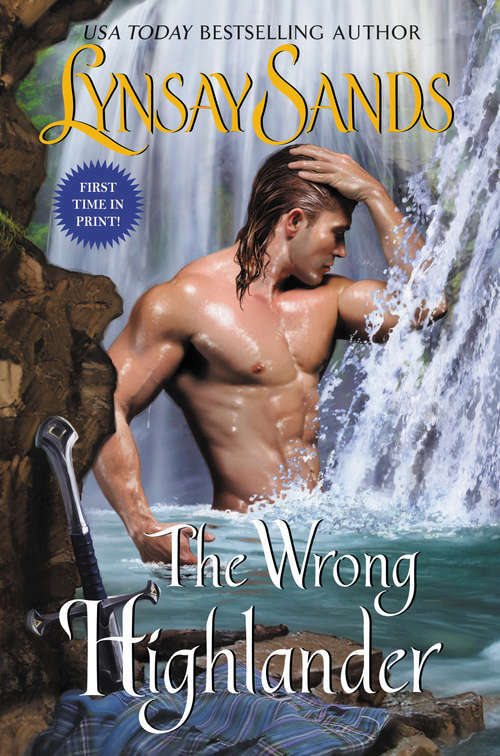 A laird’s daughter kidnaps a Highlander—and loses her heart… in New York Times bestselling author Lynsay Sands’ new historical romanceLady Evina Maclean has heard much about Rory Buchanan’s skill as a healer. What she hasn’t heard is how good the brawny Highlander looks bathing in a waterfall. But Evina can’t afford the distraction, for her ailing father urgently needs care. Only when she’s rendered Buchanan unconscious and dragged him back to her family’s castle does the truth emerge—it’s not Rory she’s kidnapped but his brother Conran. Other ladies try to ensnare Conran with flattery. Evina hits him over the head with the hilt of her sword to save her kin—and Conran likes the spirited redhead all the more for it. He’s learned enough from his brother to heal Evina’s father, but there are other dangers swirling around the Maclean clan. And while the beautiful, independent lady has sworn not to marry, this wrong Highlander may be just the right man for her.